THE FUNGUS THAT JUST DOESN’T WANT TO LEAVE YOU ALONE. You wake up in the morning to another day, walking into the bathroom to brush your teeth. You notice a collection of black spots developing, dotted around in varying opacity on the ceiling above your shower. Or perhaps you see such markings in between the tiles in your bathroom, in several places. The fungus has began infiltrating your bathroom, and this is a process which only grows worse day by day. What could have been so easily prevented is now a tormenting issue, which will not leave you alone. Have no fear. With our guide you will no longer be left in the shadows of your mouldy housemate. The fundamentals of mould are that once you see it growing, YOU MUST REMOVE IT IMMEDIATELY. Serious health implications may occur due to neglecting the cleanliness and, most importantly, the ventilation in your bathroom. That cough, throat irritation or eye soreness that you’ve been having may in fact be the outcome of the mould’s presence in your bathroom. For a lot of people, this is a hassle. Yet the conclusion of not doing these, in fact, easy tasks is mould, growing and developing over time. Once you are at that stage, there are several ways to remove the mould, even though preventing it was much easier to begin with. . 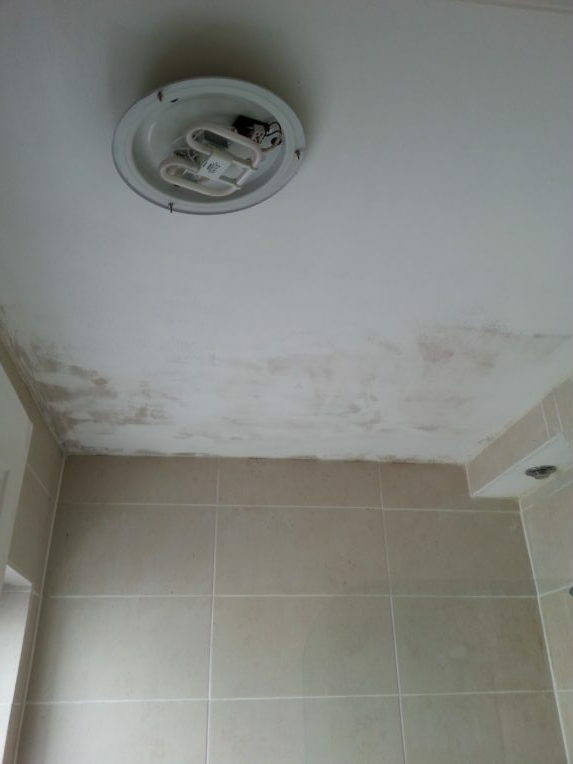 The fundamentals of removing mould yourself: Grout: Bleach - specifically chlorine bleach, works wonders on removing mould from grout in between your tiles. With bleach come safety; always wear protective attire and never mix bleach with other cleaning products. Work in small sections on the affected area, and scrub the bleach with a stiff bristle brush. Leave it on for at least 30 minutes and repeat if necessary. Remember to always keep your bathroom fan on when doing this procedure as it creates a safer environment to work in due to extracting the fumes from the bleach. White Vinegar - distilled white vinegar is a much healthier and safer option as an alternative to bleach. It is the substance that won’t cause grout discoloration and deterioration, which is possible with bleach. Pour the vinegar into a spray bottle, and saturate the affected area. There is no need to touch the grout itself, simply wait 30 minutes, rinse with warm water and repeat if necessary. Baking Soda / Baking Soda with Hydrogen Peroxide - baking soda is an excellent lifting agent, which can be used in combination with water to create a paste. There is no exact ratio of water and soda, however, it should be a spreadable consistency, and the amount of each component will depend on the amount you would need to cover the area of the mould. Spread the mixture over the affected area and allow to sit for around 10 minutes (longer if the mould . is particularly stubborn). Then proceed to scrubbing it with a stiff bristle brush, and rinse away with water after. Baking soda can also be used with hydrogen peroxide for a more potent effect. Begin by mixing up a thick soda and water mixture and apply it on the mould. Follow that by pouring or spraying over hydrogen peroxide until it initiates fizzing. Brush it with a stiff bristle brush and rinse with water . Walls/Ceilings: All of the steps above can be conducted on walls and ceilings, but take extra care as some solutions may damage the paint. When attempting the remove the mold from these surfaces, a better and more effective solution is to call the professionals! Here at YoursHandyMan we can rectify your mouldy site effectively and permanently - if you follow our prevention advice listed above, after we have completed the service. 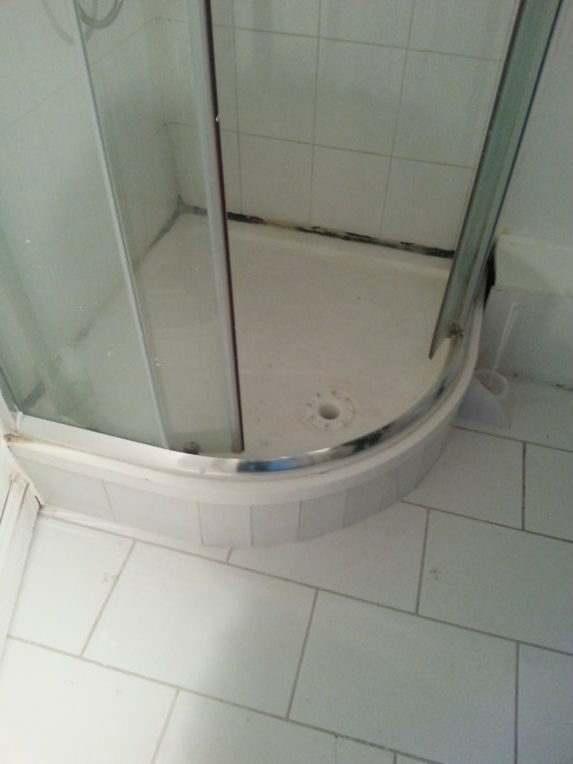 Bathroom Sealant: The vast majority of the time, it is, unfortunately, not possible to eliminate mould from bathroom sealant without damaging the sealant itself. A better option is to replace the sealant entirely. This is a hassle for most people which does consume quite a bit of your time. Therefore, let the professionals handle it, and contact us at YoursHandyMan to receive a clean and professional service. Remember, prevention is always better than a cure! However, if you find yourself in a situation where the mould as began developing, complete the form in the ‘contact us’ section on our website, and we will remove the hassle off your hands!